RAQUEL REED's BIRTHDAY BASH! 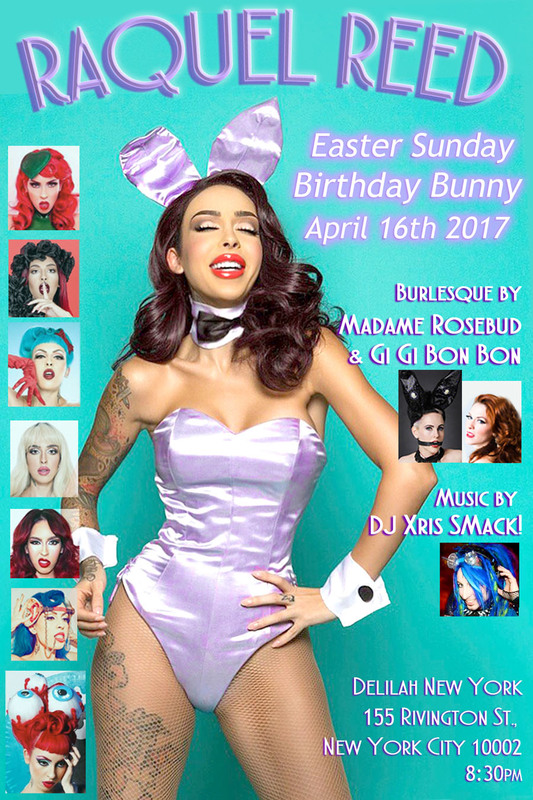 "Easter Sunday Birthday Bunny"
between Clinton St. & Suffolk St.
DJ Xris SMack! at RAQUEL REED's BIRTHDAY BASH! :Fetish Model, Pin-up model, Raquel Reed, Xris SMack!